Salesforce Summer '17 release notes have been online for weeks and now it's my turn to show you my favourite ones. I've been busy recently with my work but also for our first joint Milano & Cagliari Salesforce DUG and for the Milano Essentials 2017. I presented a huge deck for Summer 17 at our first meetup: this deck is only a selection of the gigantic official release notes. In this post I'll highlight an even smaller selection of the amazing features we find in the next release of the platform we all love. 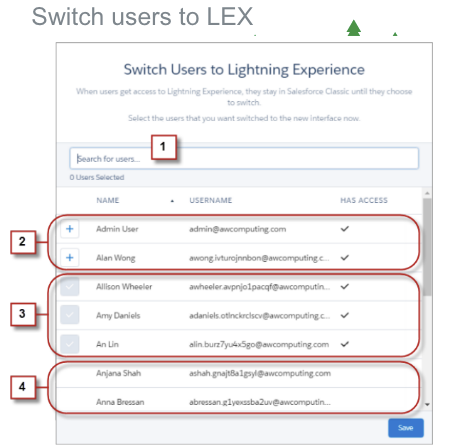 The release is centered on Lightning Experience and we can see all the efforts Salesorce is putting to make LEX becoming fully compliant (and better for sure) to Classic UI. 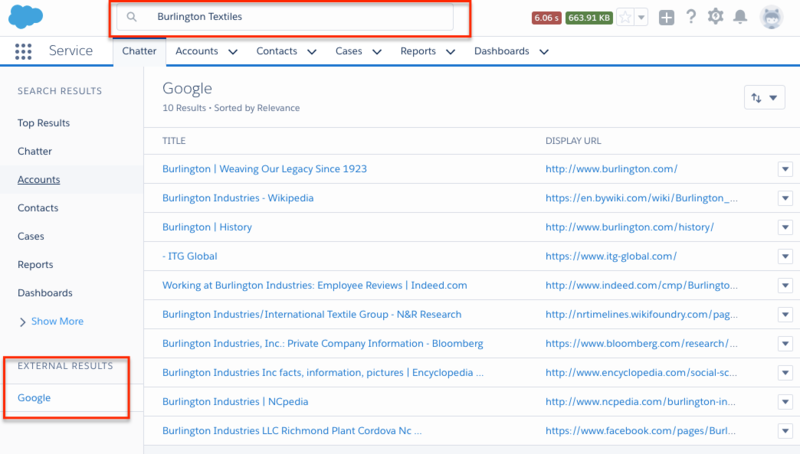 A new type of External Data Source has been added, allowing to use the Federated Search protocol: basically you can search from Salesforce Global Search into an external service. 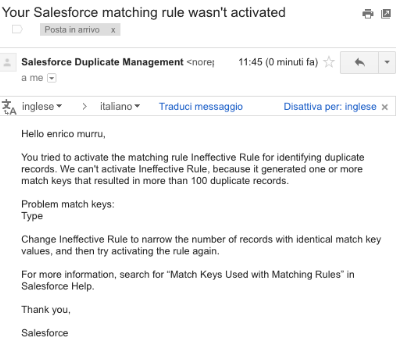 Duplicate checking is enhanced in LEX. If a Case is related to a Person Account by AccountId or ContactId fields, then it is shown in the "Cases" related list on the Account. 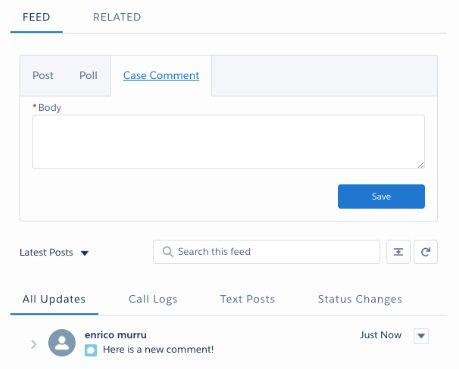 Create your Case Comments directly from the publisher using a Quick Action. View, Edit and Delete them from the Case Comments related list. It's been designed with PRM in mind.
) to have a better place for managing your communities. 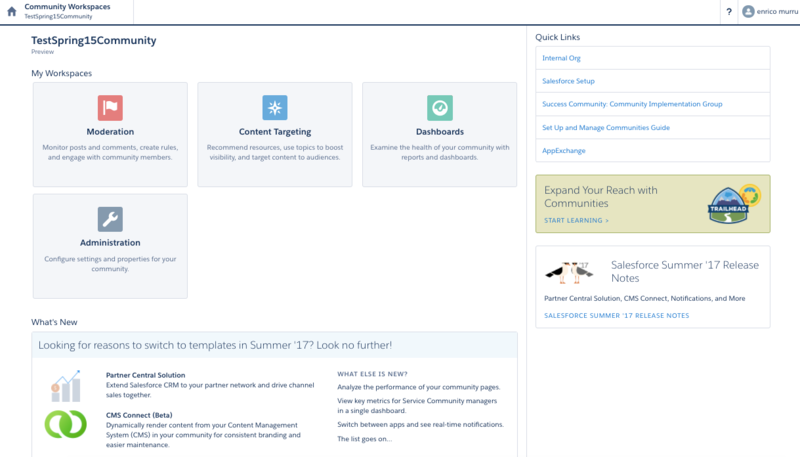 CMS Connect lets you bring your AEM content, such as headers, footers, and banners, into your community. 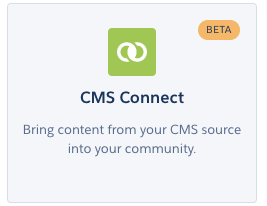 CMS Connect is available in communities that are based on Customer Service (Napili), Partner Central, and any Lightning Bolt solutions. 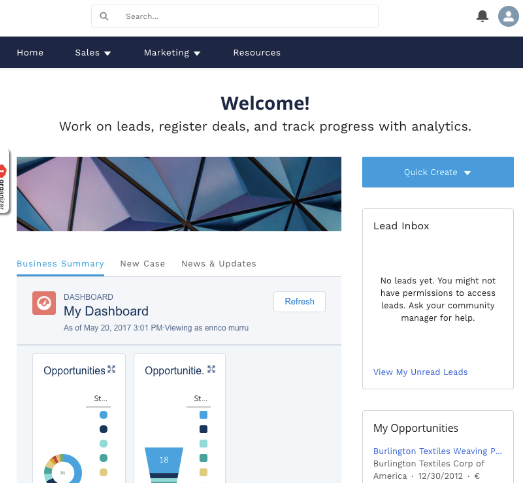 Change sets are now available for Lightning communities and Salesforce Tabs and Visualforce communities. Create, customize, and test your community in your sandbox environment and then migrate the community to production when testing is complete. Communities are located under the Network component type. 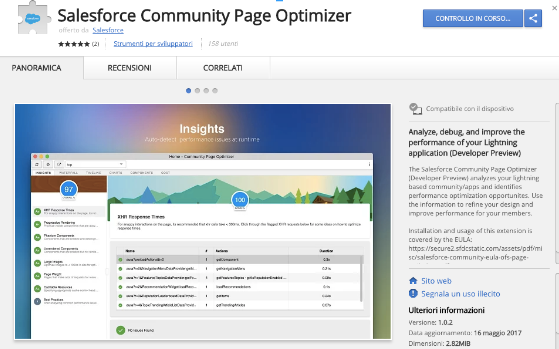 A new awesome Chrome Extension has been delivered to analyze Communities preformances, the Salesforce Community Page Optimizer. f you use many components in your Lightning community, improve community performance with browser caching. Performance is about the same for the first page load, but subsequent page loads are faster. The cache is encrypted and secure. Use Chatter Rich Publisher Apps to integrate your custom apps into the Chatter publisher and to view the app’s payload in a feed. 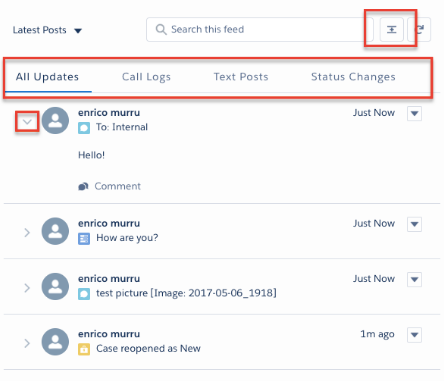 Attachments and Documents should be migrated to Salesforce Files in LEX. To increase adoption, new limits have been pushed. Previously, the maximum number of files per org was 10 million. We’ve tripled this limit, raising it to 30 million. The number of daily content versions (files that you can add or modify in a 24-hour period) has increased from 36,000 to 200,000. The delivery bandwidth limit has doubled from 10 GB to 20 GB. Simple but usefull enhancements for Developers and admins: setup links can now be opened with right click. 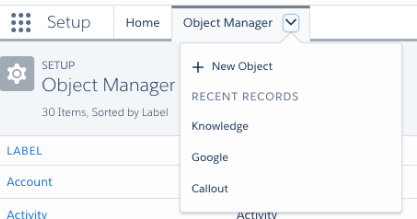 Object setup pages have been enhanced as well: object details always visible, scrolling details page, quick find search. You cannot execute JS on HYPERLINK function on formula fields anymore. Lightning Experience Quick Action button. 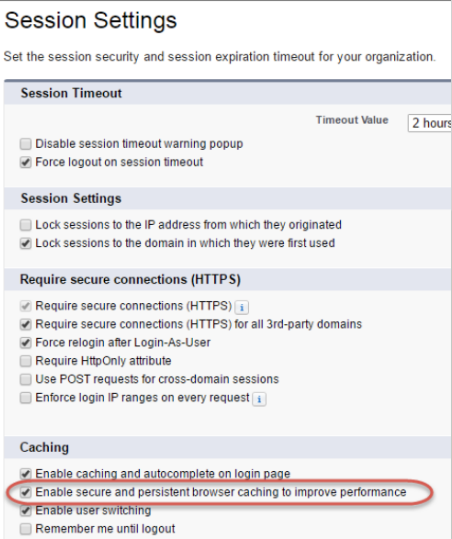 Custom Visualforce page with an Apex controller to redirect to the correct URL. Take this approach if you can execute client-side conditional logic to redirect the user to where you want. Create an empty Visualforce page and an Apex controller. 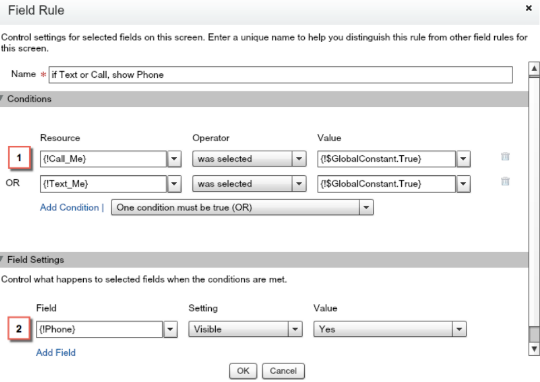 Turn your flows into guided UIs that respond to users' inputs and selections: display fields based on defined conditions. This lower the number of flow steps needed to implement your scripts. The Time type tracks time or indicates date-independent time. The Time type is essentially a timestamp without the date included. The Time type uses a 24-hour notation. Time can include milliseconds (HH:MM:SS.MS): e.g. 14:40:50.617. Time values are not localized or associated with a time zone, e.g. if you enter 15:00, for 3 pm, all users see the same value. Define a default formula to define a default value based on the context: if the formula returns a blank value, that the value default is used. 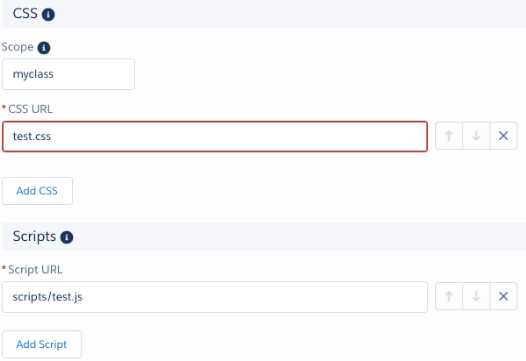 If enabled, logging out of your org logs you out of all connected apps (where Salesforce is the Identity Provider and the connected apps are Service Providers). Balance security and usability when determining whether to use it. Logging the user out of all connected apps improves security, but not necessarily usability. 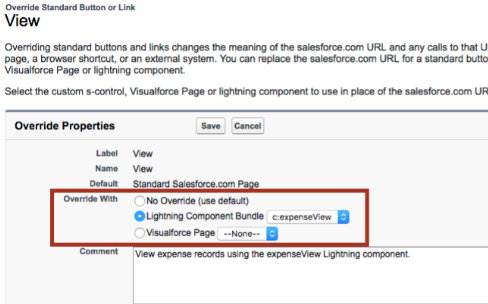 Overrides that use Lightning components don’t affect Salesforce Classic. 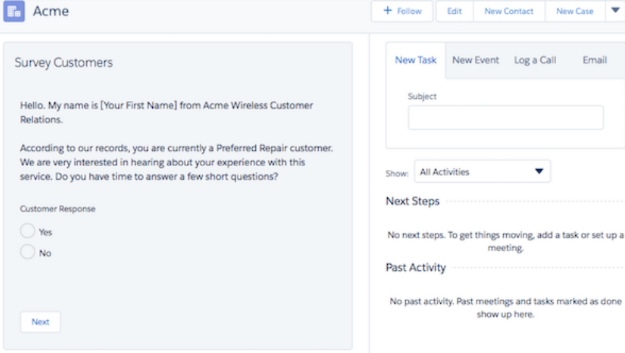 If you override a standard action with a Visualforce page, it overrides the action in Salesforce Classic, Lightning Experience, and Salesforce1. 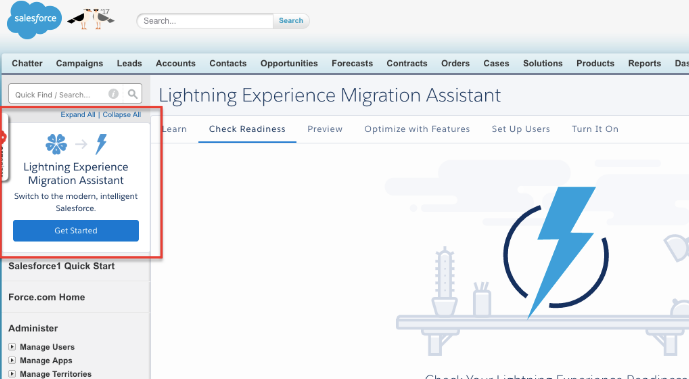 If you override a standard action with a Lightning component, it overrides the action in Lightning Experience and Salesforce1, but the standard Salesforce page is used in Salesforce Classic. A Lightning record page for an object takes precedence over an override of the object’s View action. Enable the component to be assigned the ID of the current record and adds the component’s attribute recordId. Enable the component to be assigned the API name of current record’s sObject type and adds the component’s attribute sObjectName. 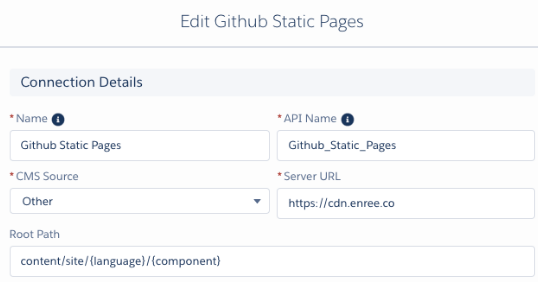 Use Lightning Data Service to load, create, edit, or delete a record in your component, without using Apex code. Lightning Data Service handles sharing rules and field-level security for you. 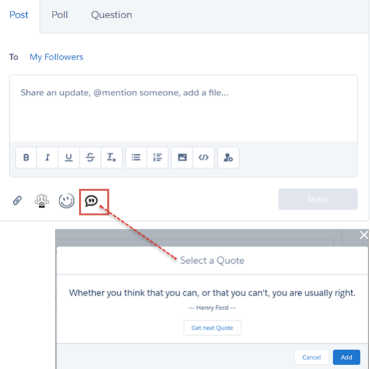 It’s now easier for your users to report errors they encounter, and for you to find and fix those errors. This change affects all users, and doesn’t depend on debug mode being enabled. The warning is logged only in debug mode and can help in troubleshooting an otherwise hard-to-debug issue. When a component is rendered or rerendered, the aura:valueRender event, also known as the render event, is fired. Handle this event to perform post-processing on the DOM or react to component rendering or rerendering. The event is preferred and easier to use than the alternative of creating a custom renderer file. If a component is invalid, cmp.get() returns null. Previously, the framework returned an InvalidComponent error. If you call cmp.set() on an invalid component, nothing happens and no error occurs. You don’t need a cmp.isValid() check in the callback in a client-side controller when you reference the component associated with the client-side controller. 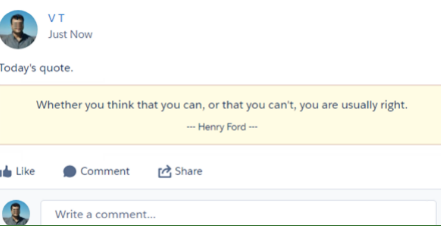 The framework automatically checks that the component is valid. Similarly, you don’t need a cmp.isValid() check during event handling or in a framework lifecycle hook, such as the init event. If you reference a component in asynchronous code, such as setTimeout() or setInterval(), or when you use Promises, a cmp.isValid() call checks that the component is still valid before processing the results of the asynchronous request. In many scenarios, the cmp.isValid() call isn’t necessary because a null check on a value retrieved from cmp.get() is sufficient. The main reason to call cmp.isValid() is if you’re making multiple calls against the component and you want to avoid a null check for each result. To use Advanced PDF, set renderAs="advanced_pdf" in the tag of a Visualforce page with API version 40.0 or later. Advanced PDF pages time out after rendering for 2 minutes, which includes asynchronous processing time. Because Advanced PDF is built on Chromium, it’s easy to preview your Visualforce pages in Google Chrome. To preview a page, from Chrome, select File > Print. Make a SOQL query in Workbench to get information from the VisualforceAccessMetrics object. Each VisualforceAccessMetrics object tracks the daily page view count in the DailyPageViewCount field. The date the metrics were collected is specified in MetricsDate, and the ID of the tracked Visualforce page is specified in ApexPageId. Page views are tallied the day after the page is viewed, and each VisualforceAccessMetrics object is removed after 90 days. Previously, when a method threw an exception, the action was completed. For example, when you created an Apex class that used a remote action to add an account to your org and that method threw an exception, the account was added. Now, the account isn’t added. Access to Metadata in Apex with the Metadata Namespace. 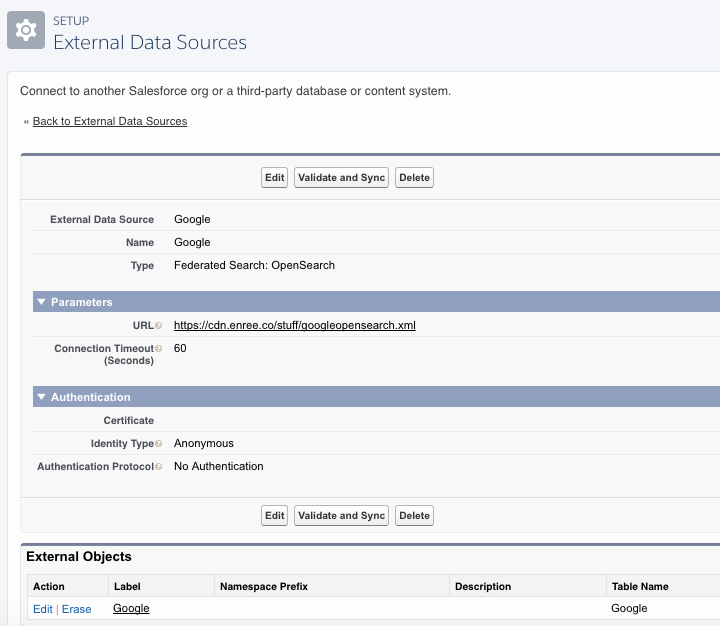 Metadata is used for org settings that admins control, or configuration information applied by installed apps and packages. Details on the features here. On July 22, 2017, Salesforce is disabling support for TLS 1.0 for all ORGs in production. To give admins more time to prepare community users, the TLS 1.0 disablement deadline for Salesforce Communities has been extended to March 2018. The extended March 2018 deadline applies to both Lightning and Visualforce communities. Partner portals, customer portals, and Force.com and Site.com sites are still subject to the July 2017 deadline. All licensed and unlicensed community users (guest users) must upgrade to browsers that are compliant with TLS 1.1 or above. Details on TLS1.0 retirement here. Be prepared for the deactivation. Add appropriate messaging to your communities to inform your users about TLS 1.0 disablement. Educate both licensed and guest users about browser requirements for TLS version compatibility. Encourage users to check their browsers for compatibility with our test site. If their browser is compliant, the web site displays a “Test passed” message. Ensure that the TLS 1.1 or above is enabled for your API integrations. Critical update since Summer '16, is enforced for all orgs in Summer '17. LockerService, a powerful security architecture for custom Lightning components, is enforced for all Lightning components created in Summer ’17 (API version 40.0) and later. LockerService isn’t enforced for components with API version 39.0 and lower, which covers any component created before Summer ’17. When a component is set to at least API version 40.0, which is the version for Summer ’17, LockerService is enabled. 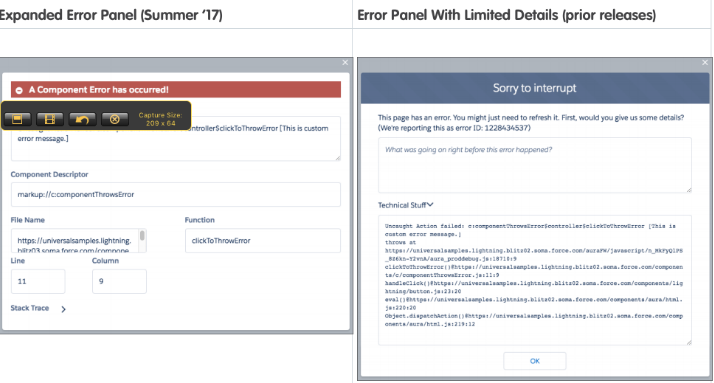 LockerService is disabled for any component created before Summer ’17 because these components have an API version less than 40.0. To disable LockerService for a component, set its API version to 39.0 or lower. LockerService is enabled for a component or an application purely based on component version. The containment hierarchy within an application or a component doesn’t factor into LockerService enforcement. For consistency and ease of debugging, we recommend that you set the same API version for all components in your app, when possible.